Directions: Blend together the blueberries, peaches, and sweetener- just a little bit, you don’t want them to be pure liquid. Stir in the chia seeds and let them soak up the delicious blueberry and peach juice for about 5 minutes. You could enjoy the jam with some raw crackers, mixing it with almond butter. Yum. I’m going to play captain obvious and say you can make it with any berry! Even cherries. Oooo. 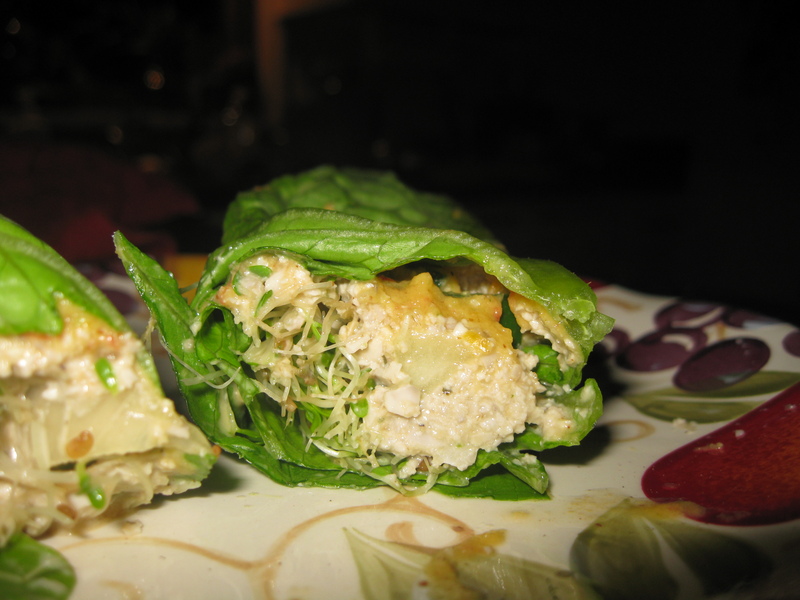 Just take your favorite nut pate recipe, some sprouts, and roll it up in some Romain lettuce or collards. Crunch…crunch…cruuuunch. My trip to Jacksonville was wonderful. I got to go to a raw food potluck. My sister and I made Avocado-Chocolate pudding which was a BIG hit and Zucchini pasta with Cashew “cheese”. Blend everything together until it’s delicious. We played with the recipe a lot so the measures aren’t exact. It all depends on if you like a dark chocolate, a coconutty taste, sweeter…etc. To spice it up you could add organic extracts like vanille, hazelnut, or amaretto. Yum. I’ve been keeping things pretty simple. Not using the dehydrator very often. 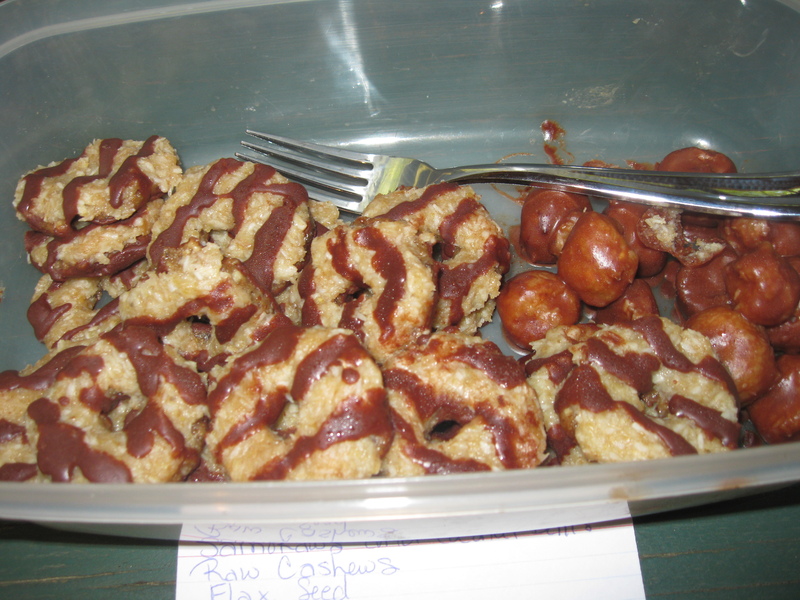 I did make some raw samoas for my sister and cousin when they came to visit. I also made cabbage chips, like kale chips…but with cabbage. They turned out pretty good actually. I just threw a little sea salt and kelp powder on them and dehydrated until slightly crispy.